With QuickOPC, you can access real-time process data from Visual Basic for Applications (VBA), and even control your process by writing into OPC items. You can use VBA to create live reports, or pull data from the application and use them as input to your control systems. OPC VBA solutions like this provide high value by combining computational and presentation capabilities of VBA applications with real-time OPC data. How does QuickOPC allow integration of OPC data from VBA? You reference the QuickOPC objects from a code written in Visual Basic for Applications (VBA) and embedded in your solution. You call methods that perform operations such as OPC reading or writing. 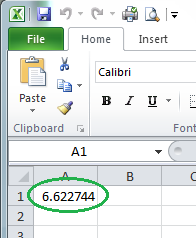 VBA with QuickOPC can be used to bring OPC data to Excel. Doing so is very powerful, but it requires programming knowledge (and is thus not suitable for a typical Excel user). 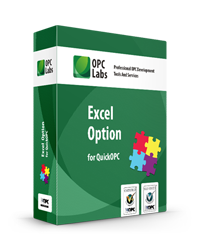 If you do not need VBA for other purposes or for further processing of OPC data, it is much easier to set up a communication link between Excel and any OPC server using our Excel Option for QuickOPC. The Excel Option requires no programming, and the user can create spreadsheets with live, animated OPC data with just drag-and-drop. It is also possible to communicate with OPC Unified Architecture (OPC UA) servers from VBA. The corresponding example is included with the product, and you can read about the few steps needed to achieve this in the knowledge base article below.